The invitation seemed almost too good to be true—and in the end it was. Only one U.S. rider, Jonathan Boyer of the Renault-Elf pro team actually competed that year—the first American ever to ride the Tour. 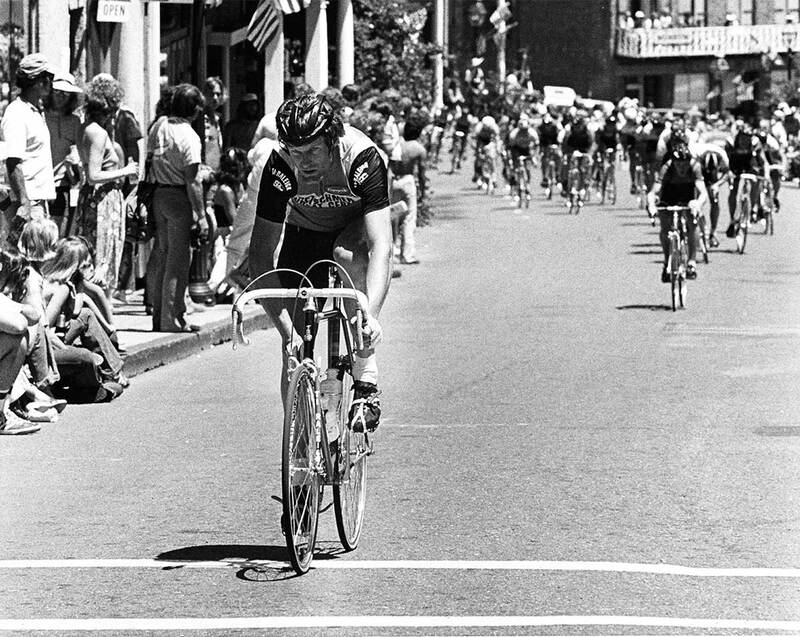 And while the U.S. amateurs wouldn’t ride the ’81 Tour, what transpired in the months after Lévitan’s invitation is a long forgotten piece of U.S. cycling history. Today, with the huge popularity of the Tour de France, it is hard to believe that in the early ’80s the race was on hard times. The organizers were looking for ways to increase the popularity of the race. One of the questions of the day was whether the top amateur nations, including Russia and Colombia, were a match for the European pro squads. The Russians, led by Sergei Soukhoroutchenkov, had dominated the 1980 Moscow Olympics along with the top amateur stage races, including the Peace Race and Tour de l’Avenir. Some considered the Red Machine the best cycling team, amateur or professional, in the world. The Colombians were more of a mystery. Tales of their climbing prowess and the difficulty of their national stage race, the Clásico RCN, led some to believe that they could ride, wheel to wheel, with the best Europeans on the leg-breaking climbs of the Alps and Pyrénées. The Americans didn’t have such a reputation. To be sure, riders like Mike Neel, George Mount and Jonathan Boyer were making a name for themselves on the Continent, but history tells us that the Lévitan invitation came through an entirely different channel. In World War II, a young Lévitan, who would become co-director of the Tour with Jacques Goddet, was a Jewish journalist hiding out in Nazi-occupied Paris. A French family hid him from the Germans and more than likely saved his life. In 1980, René de Latour, a cycling journalist in Paris, came to the U.S. to write a book on prewar French six-day cyclist Alfred Letourneur, who had immigrated to the States. In the course of his research, de Latour met Mike Fraysse, an official with the U.S. Cycling Federation. De Latour later introduced Fraysse to Lévitan. The Tour director viewed the United States as a country with great cycling potential for the expansion of the race, not only for the possibility of hosting a few stages, but also for the fan base. Indeed, two years later, Lévitan helped finance and organize the first (and only) Tour of America, a three-day race finishing in Washington, D.C. So, unlike the Colombians and Russians, the Americans were invited more for the country’s untapped potential than results on the bike. The Russians declined the invitation to compete, but the Colombians did eventually come to the Tour, first as amateurs in 1983 and then with a full-blown professional squad in 1984. And they did ride wheel-to-wheel with the Euro pros. 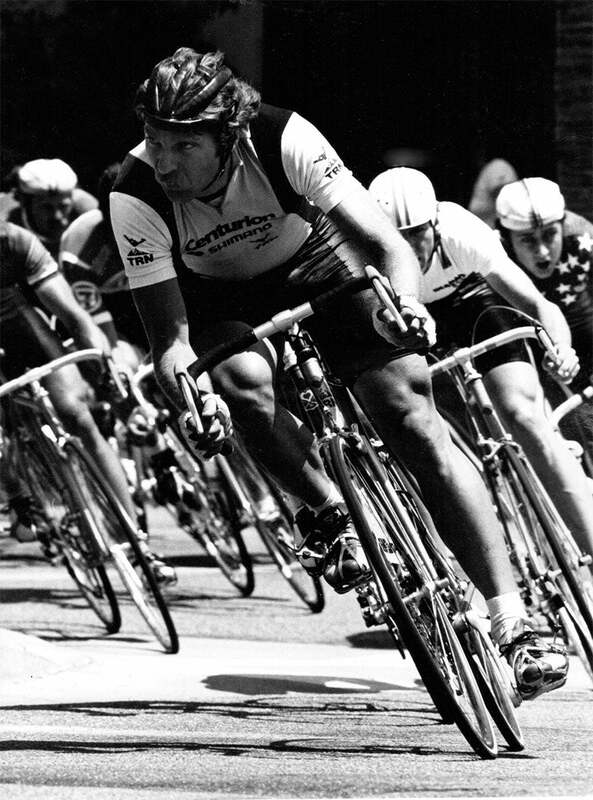 Luis “Lucho” Herrera won stage 17 of the 1984 Tour on the hallowed slopes of L’Alpe d’Huez. 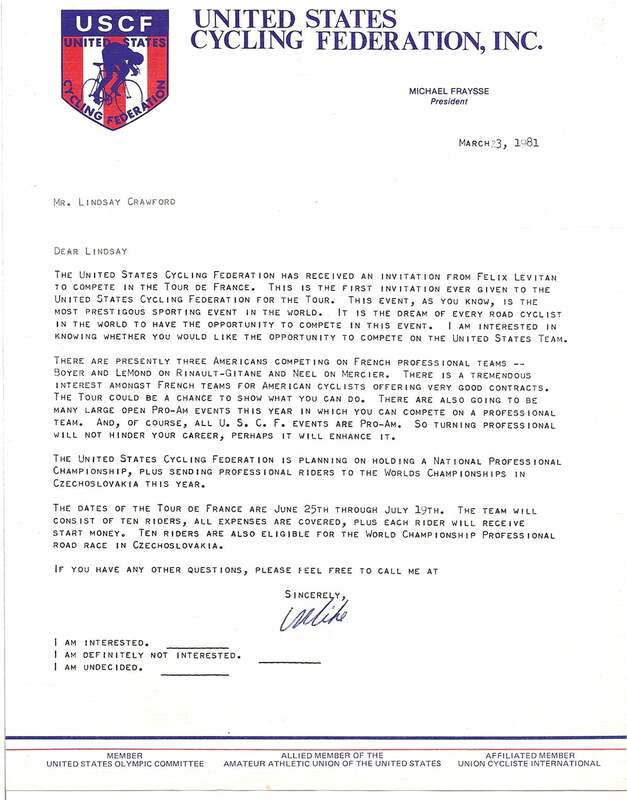 Fraysse received Lévitan’s invitation in mid-March 1981, only three months before the start of the Tour. 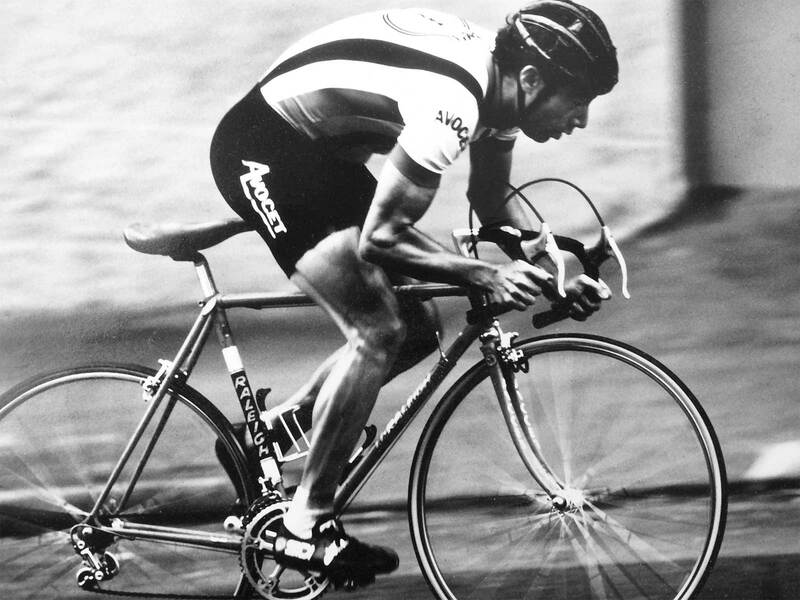 At the time, Fraysse was running a bicycle import business and was working with Dangre Starnord, a French bike company that had sponsored the U.S. national team in Europe for the previous three years. Bernard Dangre, son of the founder, spent a lot of advertising money with RTL television; and he convinced his company and RTL to become the sponsors of the U.S team and to pay the Tour’s $35,000 entry fee. In return, the team would ride Starnord bikes. With the sponsorship problems solved, the next issue was to find riders who could ride—and finish—the Tour. At that time, there were three Americans riding in the European pro peloton: Boyer, Mount and Greg LeMond. None of the three could get out of their contracts so Fraysse was forced to look to U.S. amateurs to fill out the 10-man roster. Riders were to be paid $5,000 to turn pro and would receive an additional $5,000 if they made it to Paris. Also, Bernard Dangre had expressed interest in creating a professional team. If the Americans rode well enough at the Tour there was the possibility that they would be offered a pro contract for the following season with Dangre’s new squad. Since there was no professional racing circuit in the U.S., any rider turning pro was ending his amateur career. If things did not work out in Europe, the Americans could not come home and resume their previous racing careers. Even with the loss of their U.S. racing careers on the line, the dream of racing in the Tour de France was a big enough dream for a number of riders to accept the invitation. One of the toughest guys on the circuit was Lindsay Crawford. “He was the type of guy we wanted. A tough guy. He was going to finish. He didn’t give a crap what it took. He was going to finish,” says Fraysse. For Crawford it was a dream come true. “Psychologically, the day that I got the invitation letter my riding improved probably 10 to 15 percent overnight. It was a mental thing. The first ride I did after I found out about the Tour I rode up one of the local climbs in the big chainring, which I had never considered doing in the past. It is sort of like the guy who gets the yellow jersey rises to a new level,” he remembers. Fraysse’s pick for the team’s directeur sportif was inspired. He chose Neel, who had retired from the pro ranks the previous year after riding with Italy’s Magniflex squad. 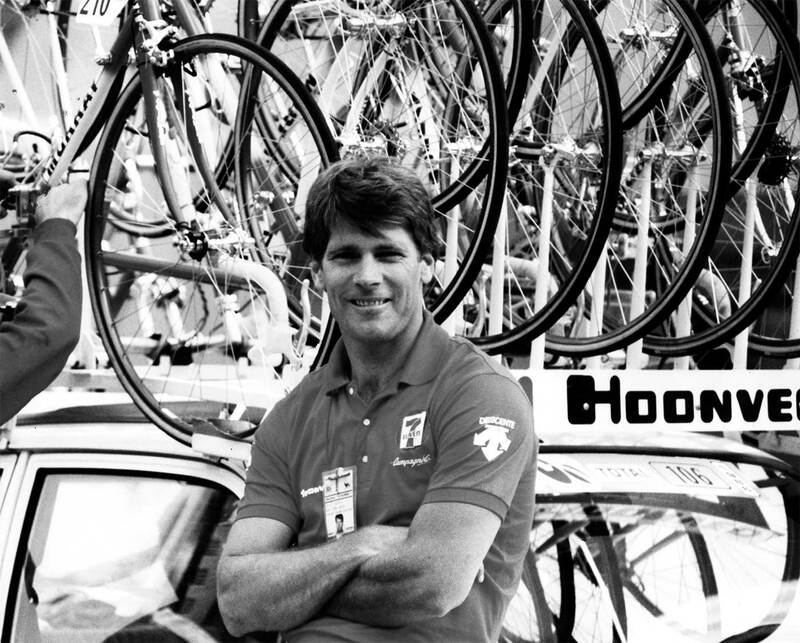 He’d come 10th in the pro worlds road race in 1977 and been the first American to ride the Vuelta a España, where he finished fourth on two stages. “He had bummed around Europe for a long time and he had contacts. He knew people. And he had balls. He would get it done,” says Fraysse. In a few short months, Fraysse had found a sponsor, assembled a team of soon-to-be-pro amateurs and found a savvy and seasoned ex-pro to direct the team. But, just as unexpectedly as Lévitan had extended the invitation, a month before the Tour, the invitation was rescinded. No reason was given at that time…and 36 years later it remains a mystery. How would the Americans have fared against the Euro pros? Were they mentally and physically prepared to ride the world’s toughest bike race against the world’s best racers? As for Bostick, he remembers, “Maybe because I didn’t have that final moment of fulfillment I kept racing. Maybe if I had done the Tour and gotten completely smoked or completely hammered or just barely finished I would have probably said, ‘Wow, this is too hard for me, this is life at the top and I am so old that I am probably not going to get any better and/or I don’t have the physical ability to do it.’ It would have delivered that final message to me: ‘Kent, it is time to do something else.’ Instead, I never got that message and I just kept racing.” Indeed, five years later, Bostick rode for the U.S. Olympic team in the individual pursuit at Atlanta. While we’ll never know the reason why the team didn’t ride the 1981 Tour, several of the members got to live out at least part of their dream. Fraysse assembled the U.S. women’s team that participated in the first-ever Tour de France Féminin in 1984 and won the overall title with Marianne Martin. Crawford did indeed get back on his bike. He won his age group in the 2003 Étape du Tour and stood on the podium a year later as well. Neel went on to become directeur sportif of Team 7-Eleven, which became the first American team to ride the Tour in 1986 and won the Giro d’Italia with Andy Hampsten in 1988. That’s the story of America’s first Tour de France team that never was.